SQL Server Compact Edition contains the run-time bits that can be used to develop applications and to deploy applications on desktop computers and on Tablet PCs. SQL Server Compact Edition is a powerful yet lightweight relational database engine. 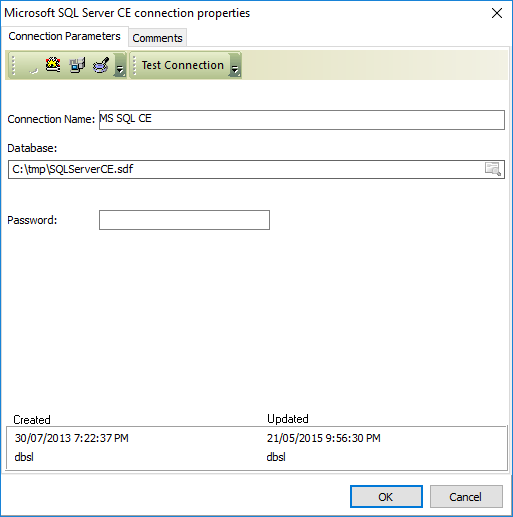 SQL Server Compact Edition supports familiar SQL syntax. Additionally, SQL Server Compact Edition provides a development model and an API that are consistent with SQL Server. Therefore, you can more easily develop desktop applications by using the RTW version of SQL Server Compact Edition than by using SQL Server Mobile. SQL Server Compact Edition includes new features such as |DataDirectory| substitution string support and ClickOnce support so that deployment is easy.